Music is an amazingly powerful medium to capture and transform the heart, and to push it toward good or evil. It can move the heart more quickly than any other form of art or communication on earth. Music can instantly create an emotion, a memory, a mood, or a passion. It can change the heart’s direction, focus, and purpose. It can alter behavior. It can heal or destroy the human heart. Music has the power to change an entire culture or even a nation. In its purest form, music is a precious blessing from God, designed to uplift the thoughts to noble and godly themes, inspiring and elevating the heart. Music is also one of the major tools the Devil uses in spiritual warfare. It can turn us away from God, move us to sin, and emotionally sabotage us. As Christians, we cannot be ignorant of the effects of music on the heart. We must be aware of the music we are allowing to saturate our hearts. Music is never morally neutral. It always carries a message to the heart that is either good or evil. What is the soundtrack of your life? What music is being played on the chords of your heart? What music is at the top of the charts when it comes to your heart? There is a direct connection between the music we listen to and the spiritual health of our hearts. Music always produces and influences a lifestyle. Life, thought, mood, emotion and desire flow out of the music we listen to. Listen to what philosophers, scientists, doctors, professors, and musicians have said about the moral and spiritual power of music. Music is powerful enough to produce mental and physical effects in our bodies and our brains. 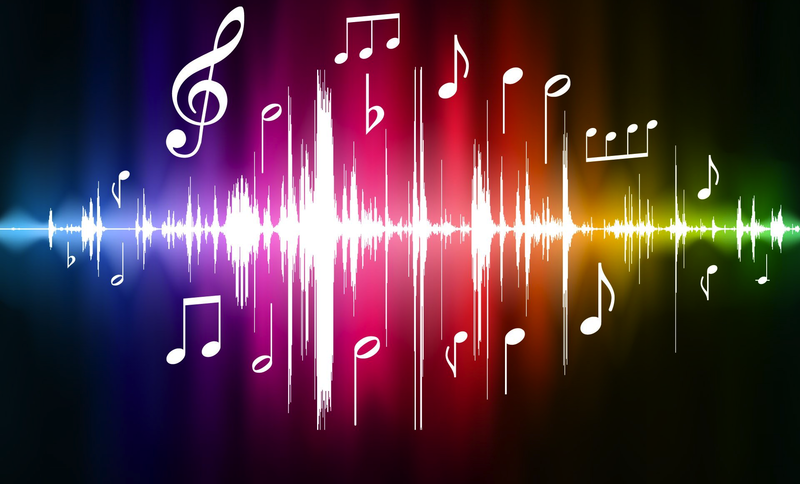 Music can modify brain waves, slowing them down and creating a more relaxed, content, and peaceful feeling, or speeding them up, causing more agitation, anxiety, and nervousness. Norman M. Weinberger, professor in the Department of Neurobiology and Behavior at the University of California, Irvine: “Music can rapidly and powerfully set moods and do so in a way not as easily attained by other means.”[vii] Music not only creates positive or negative emotions, moods, or behaviors, but also can change them in an instant. Music can even affect the rhythm of respiration causing calmness and control of emotions or superficial and scattered thinking, emotional disturbance, and impulsive behavior. Richard Wagner’s music was thought to be instrumental in the establishment of the Third Reich in Germany. Nietzsche once said, “My objections to Wagner’s music are physiological. I breathe with difficulty as soon as Wagner’s music begins to act upon me. [viii]” Wagner’s music had a strong psychological effect not only on Nietzsche, but also on Adolf Hitler. The power of music had a part in molding one of the most brutal, ruthless, and destructive dictators of all time. Never underestimate the power of music to influence, indoctrinate, and control the human heart. Music also can change the body temperature, influence blood circulation, increase endorphin levels, and affect the body’s release of hormones. Music has a pulse, a life, and a flow of energy through its beat, tempo, tone, and rhythm that dramatically affects our spiritual hearts. Music is a spiritual medium where philosophies, emotions, ideas, and agendas are conveyed directly to the heart. All music has a message in both its words and its pitch, tone, and beat, and we must be wise as to who the messenger is in the music we are listening to. That is powerful! Consider this. If Muzak can do this with music, what can Satan do with music? More important, what is Satan doing with music, and what is the music of the culture doing to our hearts? If music is important for mass marketing, how much more powerful is it in the spiritual realm and in our relationship with Christ? Can you imagine something so powerful that it can generate an emotional and behavioral response in your heart that you have no control over? Depression, anger, lust, and hatred can ride into your heart by the music you listen to as well as joy, peace, love, and inspiration. For the Devil to establish a stronghold in your mind and heart, it takes time to build ways of thinking and acting according to his subtle influences. But music can give him a free ride into your mind and your heart within a matter of seconds. Music is that powerful, and it can quickly change the composition, direction, and boundaries of the heart. Music is emotion, music is passion, music is behavior by design, and it can subtly change our hearts without us even knowing it. It can be like a toxic vaccine that is injected into the bloodstream. We don’t see its dangerous effect on the heart until it begins to circulate throughout the entire body. Music can be a dangerous weapon to our hearts, and wisdom mandates that we are wise as to its powerful effects to influence our emotions, behavior, and lifestyle. Music is intimately related to the spiritual battle that rages for the heart, because the music you listen to, the soundtrack of your life, can change you and dictate your emotions, your behavior, and your heart’s responses to circumstances in life. Music can create an emotion. Music can create an attitude. Music can create a desire. The music you listen to will affect your heart and your basic personal and spiritual mind-set, either drawing you closer to God or driving you further away. Every song is a sermon for either good or evil. [i] Cary Schmidt, Music Matters: Understanding and Applying the Amazing Power of Music (Lancaster: Striving Together Publications, 2007), Kindle Edition, 24. [ii] Dr. Howard Hanson, “A Musician’s Point of View Toward Emotional Expression,” The American Journal of Psychiatry, Volume 99, (1942), 317. [iii] Alan P. Merriam, The Anthropology of Music, (1964): 218. .
[iv] Dr. Adam Knieste, quoted by David Chagall, in Family Weekly, January 30, 1983, 14. [v] Jay Grout, A History of Western Music (New York: W.W. Norton and Company, 2009). [vi] Daniel and Bernadette Skubik, The Neurophysiology of Rock, published separately as an appendix in John Blanchard, Pop Goes the Gospel: Rock in the Church (Durham, England 1991), 191. [vii] Norman M. Weinberger, The Nonmusical Outcomes of Music Education (University of California Board of Regents, 1995). [viii] Freidrich Nietzsche, The Joyful Wisdom (New York: The Macmillan Company, 1924), 343. [ix] Don Campbell, The Mozart Effect (New York: Harper Collins Publishers, 2001), 67. [x] Cary Schmidt, Music Matters: Understanding and Applying the Amazing Power of Music (Lancaster: Striving Together Publications, 2007), Kindle Edition, 24, 25. [xi] Cary Schmidt, Music Matters: Understanding and Applying the Amazing Power of Music (Lancaster: Striving Together Publications, 2007), Kindle Edition, 41, 42. This entry was posted in Bible Teachings, Inspirational Messages and tagged beatles, book, Cary Schmidt, christian, deception, emotion, heart, idol, Ipod, Musak, music, plato, power, rock and roll, rolling stones, satan, song, spiritual, Tim Rowe. Bookmark the permalink.